Honor your loved ones and the earth by choosing practical, spiritual, and eco-friendly after-death care. Natural, legal, and innovative after-death care options are transforming the paradigm of the existing funeral industry, helping families and communities recover their instinctive capacity to care for a loved one after death and do so in creative and healing ways. 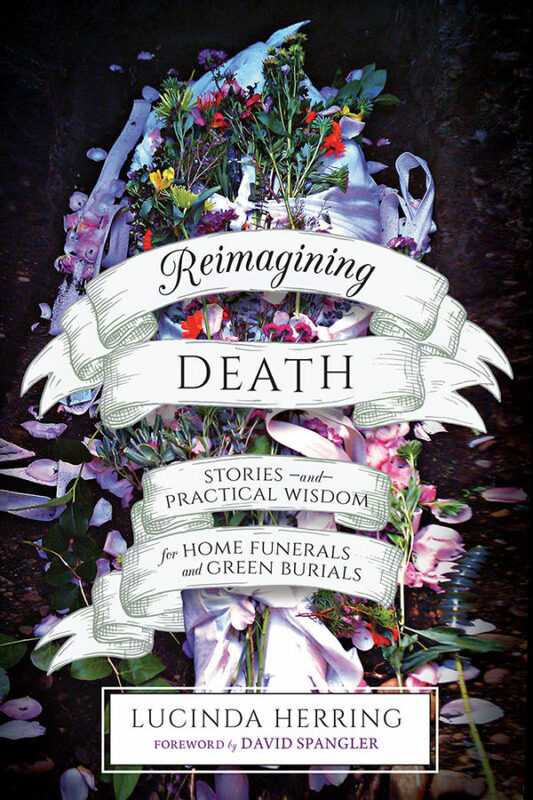 Reimagining Death offers stories and guidance for home funeral vigils, advance after-death care directives, green burials, and conscious dying. When we bring art and beauty, meaningful ritual, and joy to ease our loss and sorrow, we are greening the gateway of death and returning home to ourselves, to the wisdom of our bodies, and to the earth.